The US indices had a choppy day after opening lower but then bouncing off the 200-day moving average to close almost flat on the day. The Dow fared the best of the major indices closing effectively flat (-0.02%), while the tech-heavy Nasdaq edged down 0.18% and the S&P closed 0.23% lower. Sentiment is still very much cautious and if not outright pessimistic, but on Thursday the bulls were encouraged by the fact that the US indices have continuously bounced off support – and the closely watched 200 day moving averages. With the reporting season out of the way, Wall Street consensus estimates have pegged 2019 earnings for the S&P500 at around $170 placing it on a forward multiple of close to 15X. On the near term horizon I think it would probably take a major “centre left” negative catalyst – before the US indices broke below key support at 2580. Therefore I see the ongoing range trading and grinding of the S&P500 above the 200 day moving average as a “healthy recalibration” and consolidation as the index converges within a triangle trading range. These contracting ranges are typically resolved decisively in one direction or another. I could be totally wrong with this – but I think there is a good probability that on balance – following the deep correction earlier this year – the S&P500 is consolidating before the next advance. Time will soon tell. In other trading, logistics leviathan FedEx outperformed versus its peers, rising 0.7%. Among technology stocks, Baidu gained 1.1%, Cisco was up 1.3%, Alphabet was effectively flat and Apple eked out a modest 0.2% advance, following on the heels of its strong performance yesterday when it was buoyed by its better than expected quarterly results reported after the bell on Tuesday. Walt Disney dipped 0.9%, while casino operator Wynn Resorts edged up 0.3% in what has been a strong week due to booming gaming revenues in Macau, where it has a major subsidiary. Precious metals Coeur and were mixed, with the former closing 0.2% lower and the latter 0.8% higher. Volkswagen gained 2.5% on reports it is considering selling some of its non-core businesses and also revealing plans to step up electric car production to more than rival Tesla by 2020. Heidelberg Cement advanced 0.4% and BMW was flat. On the technology side internet conglomerate Tencent Holdings drifted down 2.4% and Sunny Optical lost 2.6%. Energy giant CNOOC dipped 1.1%. After a strong rally on Wednesday the Macau casino stocks Sands China, MGM China and Wynn Macau traded flat to down 1.3%. The resource sector is performing and the reality is higher earnings in the sector will provide impetus to the ASX and as broker and investment bank upgrades come through. Several brokers have in the past week moved to a Buy on BHP which is certainly a leading indicator for the sector. Other high-quality producers remain compelling in our view, including the likes of Rio which was up 1.7% yesterday, and South32 which rallied 4%. Some brokers have in the past month or so been quite negative on the BHP spin-off but I wouldn’t be surprised to see sentiment change as commodity prices remain elevated. For the banks this could serve to offset slowing lending volumes growth, while higher inflation should also provide a top line boost to the insurance sector (as premiums rise) and to our beleaguered QBE – I have said it before, but I think this year is an inflection year for QBE with nearly all domestic fundies underweight, and the new CEO now left to perform with all the “kitchen sinking and write downs” probably out of the way. 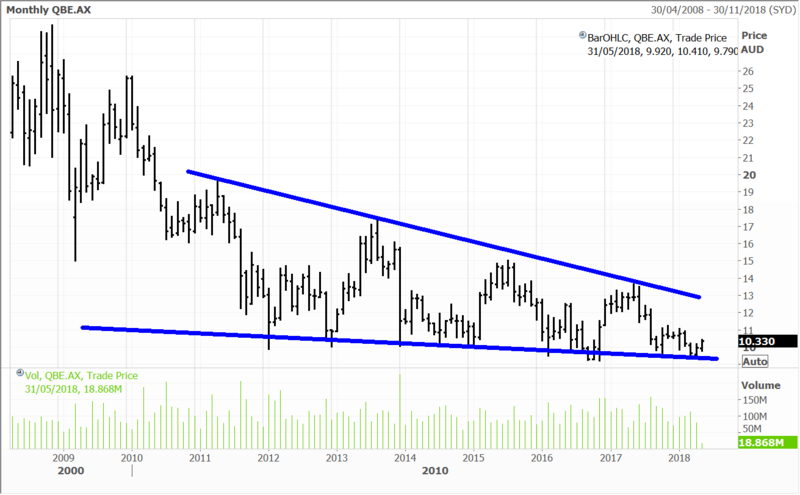 QBE has had a very long multi-year ‘base building’ period that now looks to be nearly completed. What the market seems to be forgetting is that that the insurance company is now very “exposed and vulnerable to corporate activity” with the A$ falling towards 75 cents and likely headed to 70 cents. 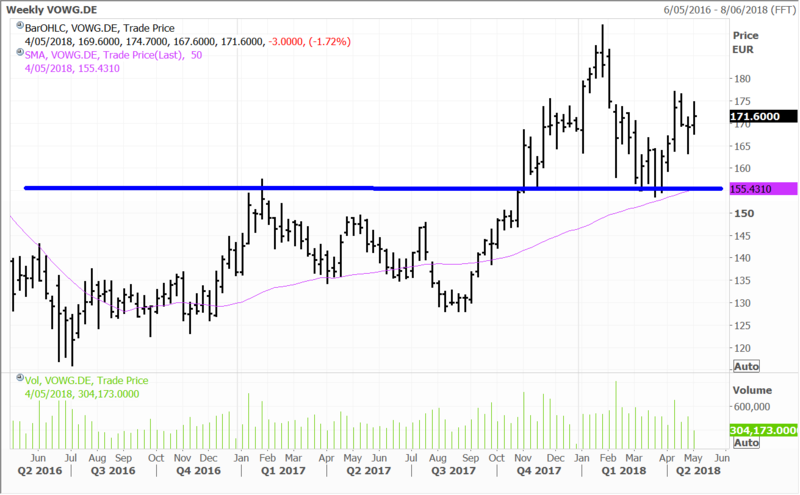 I believe there is a good chance a global predator could make a move this year – just as QBE passes through an inflection point in terms of investment (tied to higher rates) and operating earnings. We hold QBE in the Australian managed account portfolios and the Global Contrarian fund. Volkswagen CEO Herbert Dries said that it is writing a cheque for batteries that is almost worth Tesla’s entire market cap. The German automaker has awarded €40 billion (US$48 billion) in contracts to battery producers. Dries told reporters at the company’s shareholder meeting in Berlin that VW plans to sell 3 million electric vehicles by 2025. Volkswagen manufactures more cars in 4 days than Tesla does in a year. The company is joining its massive financial and engineering powers to put the ‘dieselgate’ sage well and truly in the rear-view mirror. Audi, Volkswagen’s largest earnings contributor will start production on the first electric SUV at the end of August. Sister brand Porsche will follow with an electric four-door coupe next year. The company said that the electric vehicles will be priced at comparable levels to petrol and diesel engine vehicles. Volkswagen is held in the Global Contrarian Fund and the European managed account portfolio. Disclosure: The Fat Prophets Global Contrarian Fund declares a holding in: Baidu, Disney, Coeur, Caixabank, Heidelberg, Telepizza, Volkswagen, Sunny Optical, CNOOC, Sands China, MGM China, Wynn Macau, BHP, South32 and QBE.